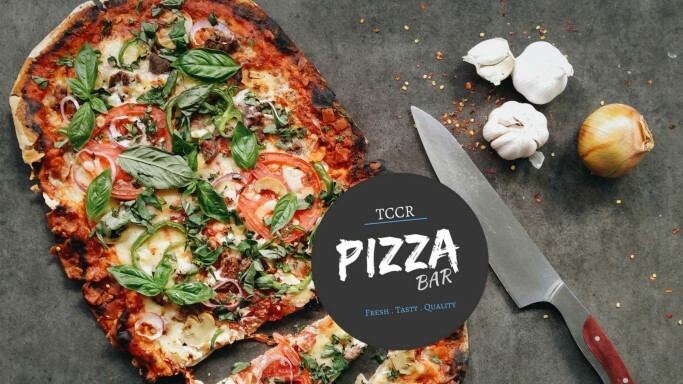 Introducing Thurgoona's latest pizza place! 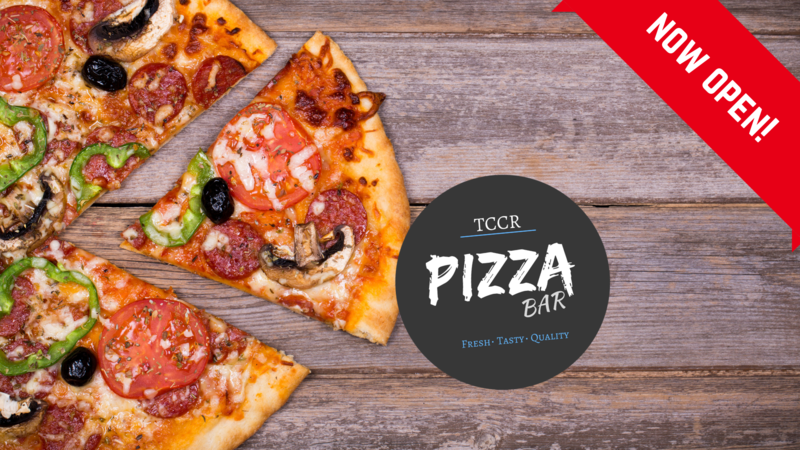 TCCR Pizza Bar, our new dining option. 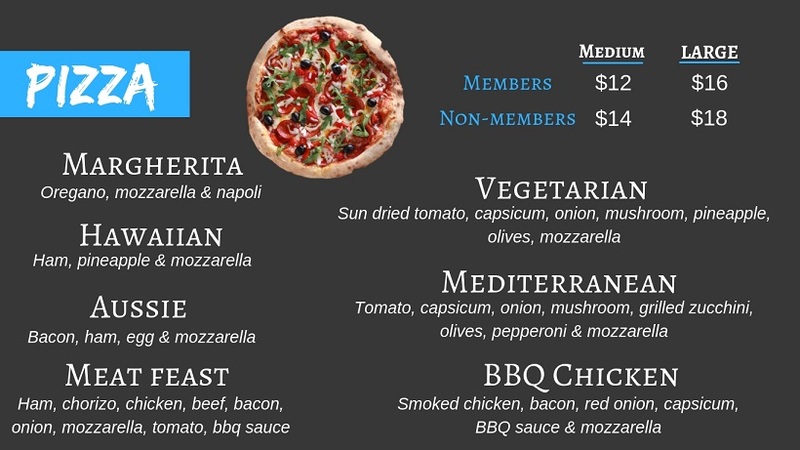 Fresh delicious pizza made to order! 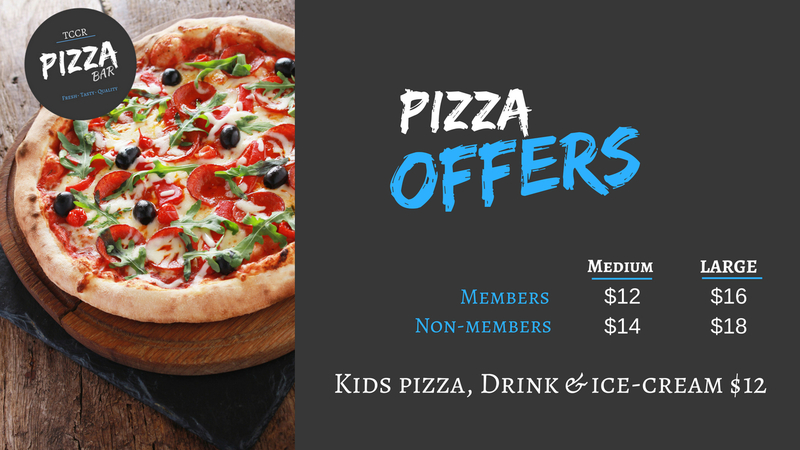 Mouth watering options, ranging from traditional pizzas to gourmet and kids options! 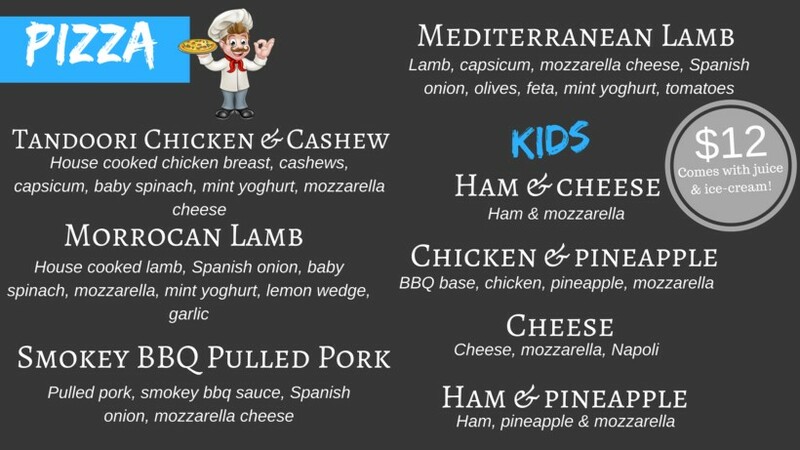 You can choose to dine in or take away. Open 7 days a week. 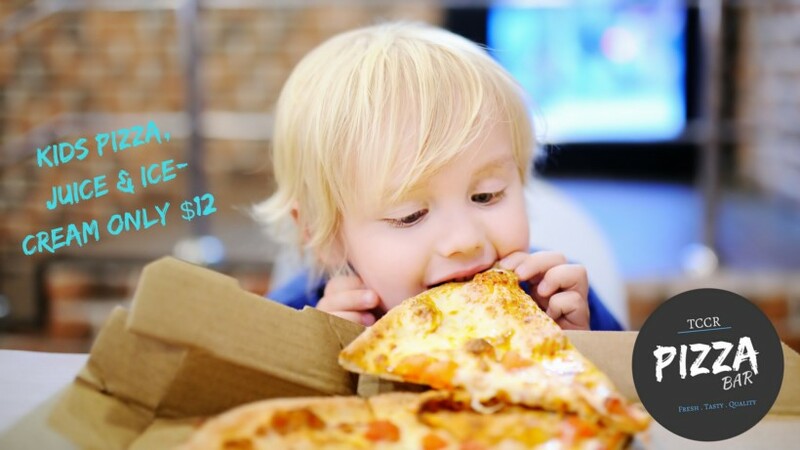 Open 12pm - 9pm. Located next to the kids playroom.